Hi all, it’s been a crazy month weather wise again, but as I am writing this we are having a run of nice calm weather with some much needed afternoon storms, which is giving everyone much needed rain. We have managed a few trips out over the last week and fishing has been great, not always easy, but with perseverance by the end of the day we have had great catches and red emperor every trip. Large parrot are in numbers along with pearl perch. Some cracker sweetlip also have come on board. I was notified several months ago that we had quite a few people put nominations in for the 2019 Enterprise Awards that had been out and were extremely happy with their day, I wasn’t sure what this actually meant however accepted the nominations. 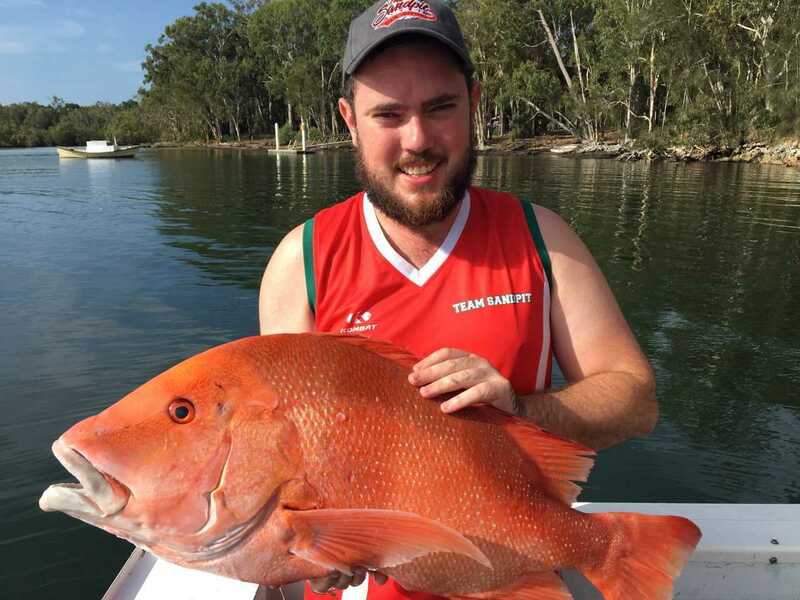 The event was held in Sydney recently and Rainbow Beach Fishing Charters was judged and awarded Winner for best Fishing Charter in the Wide Bay Burnett region. To all those who have appreciated our efforts even through the tough times, a big thank you. We are looking forward to another great season with plenty of fun trips.